Homepage Mobile Phones Oppo Oppo R17 Pro announced! We’ve recently seen the Oppo R17, a midrange device that offered decent specs for the price. The Chinese company is one of the more famous over on western territory, mostly thanks to the great midrange devices. However, with the competition being more aggressive, they had to answer. That’s how the Oppo R17 was born, but they also kept a joker in the sleeve. Meet the Oppo R17 Pro, a beefed-up version of the regular R17. Let’s see what’s so special about it! Starting with the design, the Oppo R17 Pro is mostly looking the same as it’s smaller sibling. You still have the same color options that interchange depending on the angle you’re looking the device. On the front, you’ll still find the 6.4” AMOLED panel with 2340 x 1080 resolution. It boasts a screen-to-body ratio of 91.5 percent, which is pretty high. It’s also featuring the waterdrop mark as the regular R17. And as I’ve said there, it’s one of the best implementations of a notch on a smartphone. The device also features an under-the-display fingerprint sensor, like the one found on the Vivo X21U. On the back is where you’ll notice the small difference. The R17 Pro features a triple camera setup (more details below), all placed in the middle of the device. On the inside, the R17 Pro is definitely better than the regular R17. Starting with the chipset, the device features the Snapdragon 710 processor. This 2.2GHz processor will handle any task you throw at it without any problems. The Adreno 616 GPU will also assure you of that. Furthermore, the device features 8GB of RAM and 128GB of internal storage. This will satisfy even the most notorious multitaskers and heavy media users. Finally, the battery is one of the most interesting things about this device. Or, to be more precise, the batteries. That’s right – the R17 Pro features two different batteries that have capacity of 1850mAh. Combined, that’s equal to 3700mAh, which is pretty decent for today’s standards. Moving over to those cameras, Oppo definitely took some inspiration from the Huawei P20 Pro here. However, it has some differences. The R17 Pro has a primary 20MP shooter, a secondary 12MP shooter and a “3D stereo camera” one. The third shooter is supposedly suited for AR features and apps that can make use of it. However, we cannot say anything further than that until the device officially releases. As for the front, the 25MP shooter is definitely going to upgrade your selfie or vlog game. Finally, the Oppo R17 Pro will ship with Android Oreo out of the box. It’s themed with the company’s own ColorOS 5.2 skin. The skin packs a lot of useful features, but it’s heavily customizing the operating system. 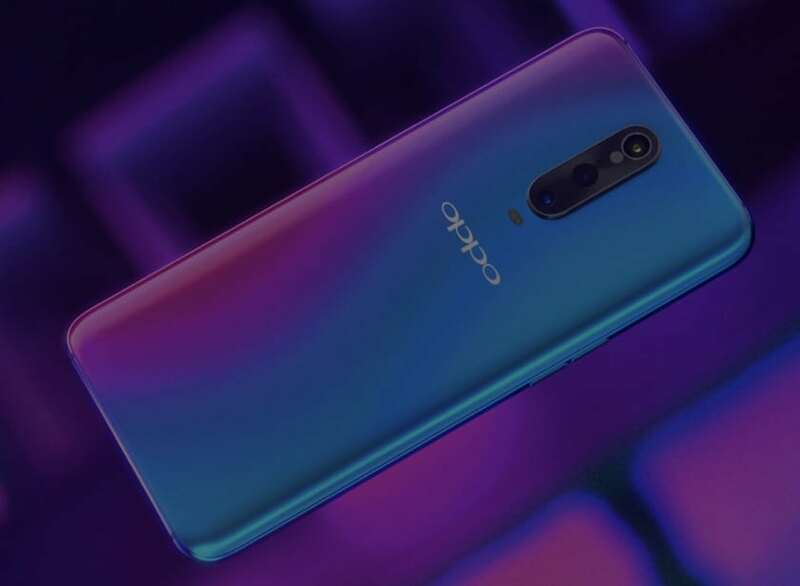 Unfortunately, the Oppo R17 Pro doesn’t have an official release date, nor a price. As soon as they’ll become available, we will update this post! So, what are your thoughts on the Oppo R17 Pro? Share them in the comments below. Previous article Previous post: Apple iPhone XR announced! Next article Next post: Vivo V11 announced!